The weekend we had our white water rafting adventure, we decided to make a road trip to Ipoh for Lily wanted to give Pasar Loken another visit meanwhile I was obsessed with the oldest town in Perak, Papan – almost always associated with our WW2 heroine Sybil Kathigasu. We did a lot of things in between and most importantly, it was all-girl-road-trip-to-Ipoh with a lot of food session. As our bodies ached very badly, we were desperate to lie down. First thing we did when we reached Ipoh, we drove around town in search for a place to stay overnight. We had passed by bright yellow building located in the middle of town at least three times before we decided to give Hotel Bajet Memori Ipoh a look. Baby and I came down to do what we always do best. Checking the room and bathroom (very important) before we finally agreed to stay there. It’s quite cheap albeit the weird aquarium down-under entrance. 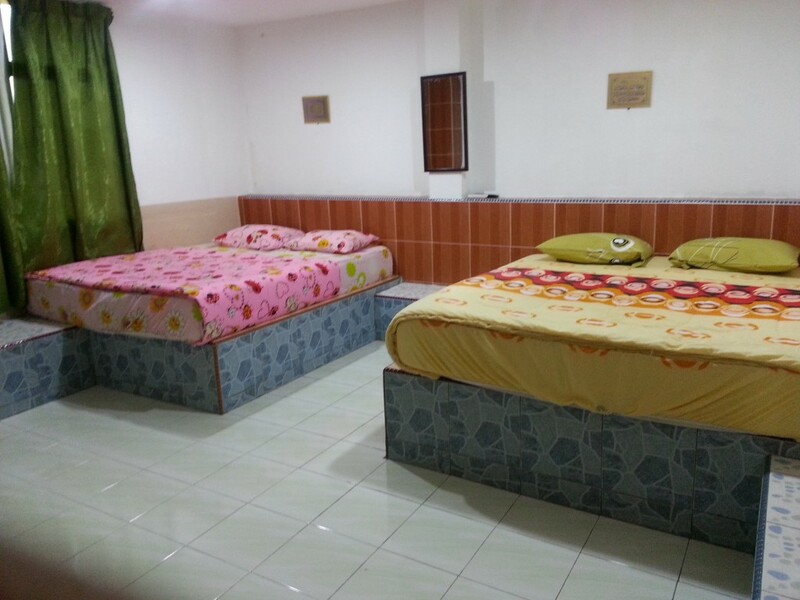 It costs us RM110 for a room of 4. It looked deserted but still okay. Wajib ignore a row of crematorium and funeral services across the road. Scary. Nothing ghostly took place that night. We slept soundly. My only comment is that the television was too far out from the bed located at the right side. No breakfast provided but they do provide towels and soaps. 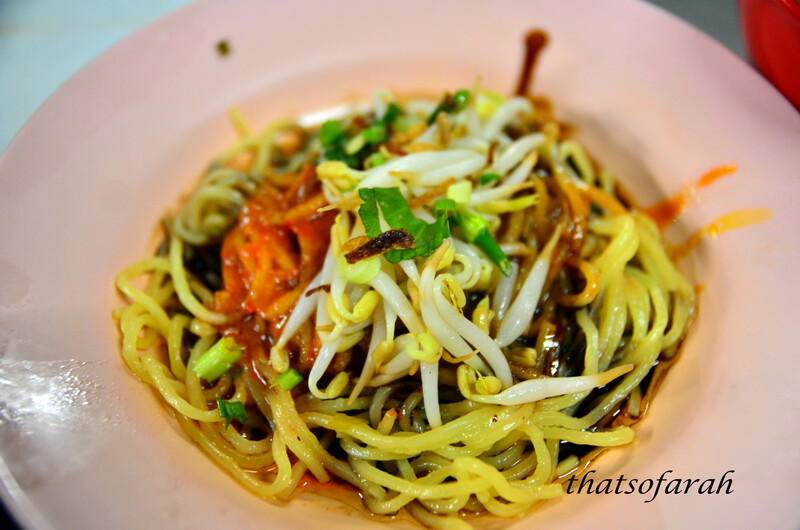 Mee Kari Daud Mat Jasak is a must for my family whenever we are back to Tokmak’s house in Ipoh. It’s our family’s favourite eatery. 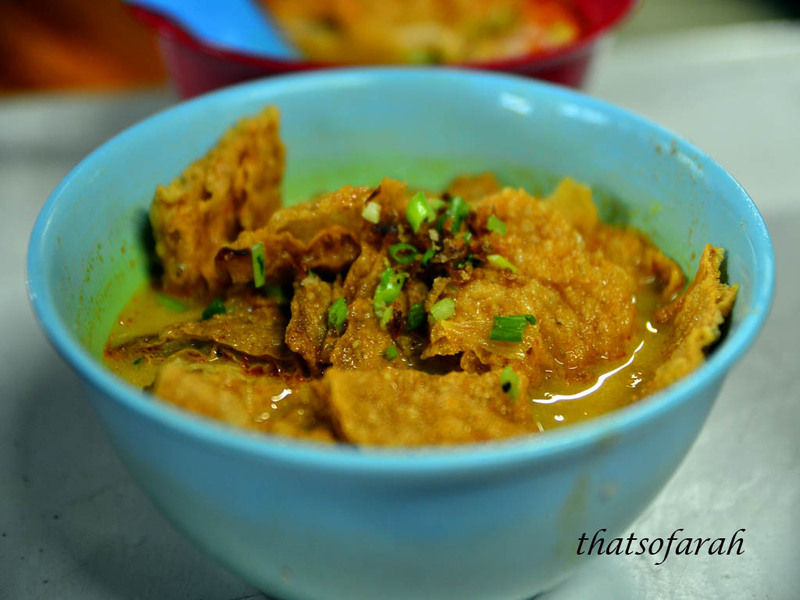 You can either order mee kicap, mee kari with self-pick lauk or mee sup. 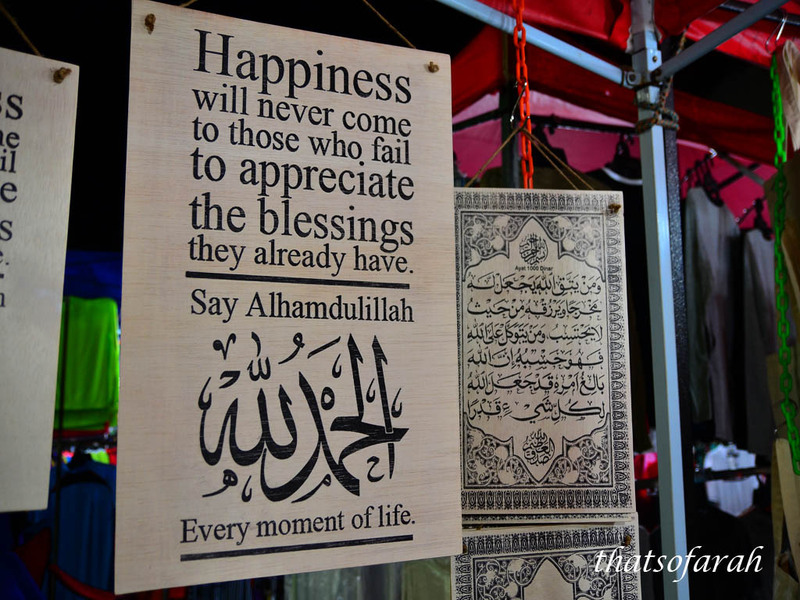 You can also replace mee with bihun or kueyteow. You must come early otherwise the food will be sold out. One place I would proudly bring any guest for an eat-out. If the place is full house, be patient waiting for your food. Sometimes, you have to wait for table too! 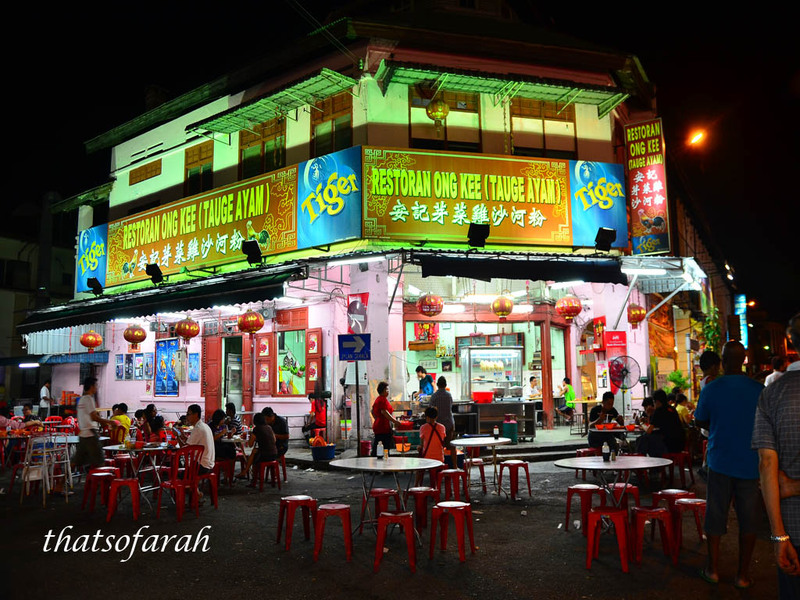 As for Jard who was on her first trip to Ipoh, she was ranting on the crave to eat Nasi Ganja Ipoh. 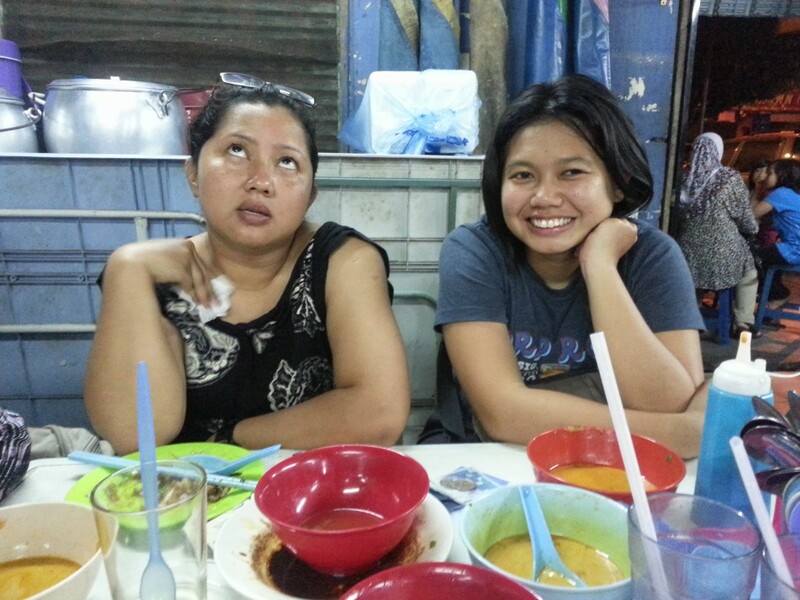 I was sure she was not all happy to eat Mee Kari Daud Mat Jasak that night. 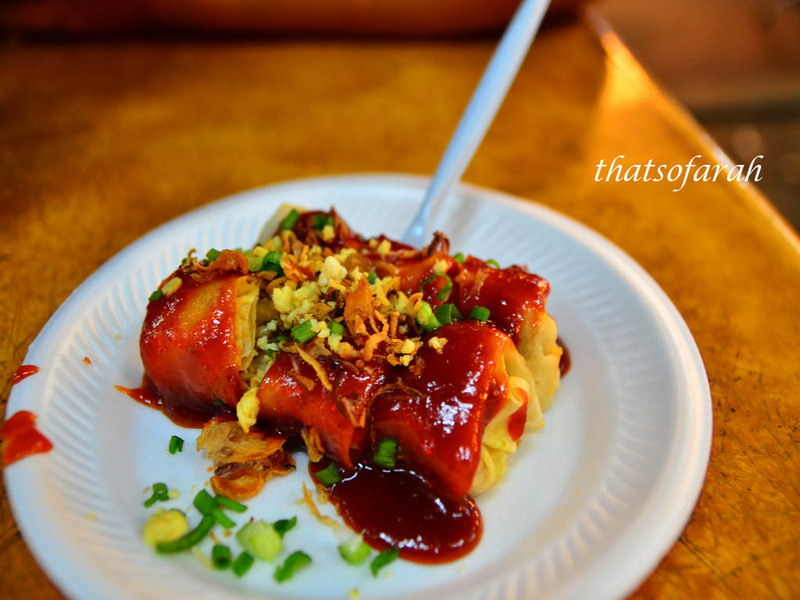 There’s a funny story on finding the location of Nasi Ganja Ipoh (this will be narrated on Part 2). Oh yes, I was honoured to travel with our travel diva, referred to many as Kak Lily. She’s such a diva, right? 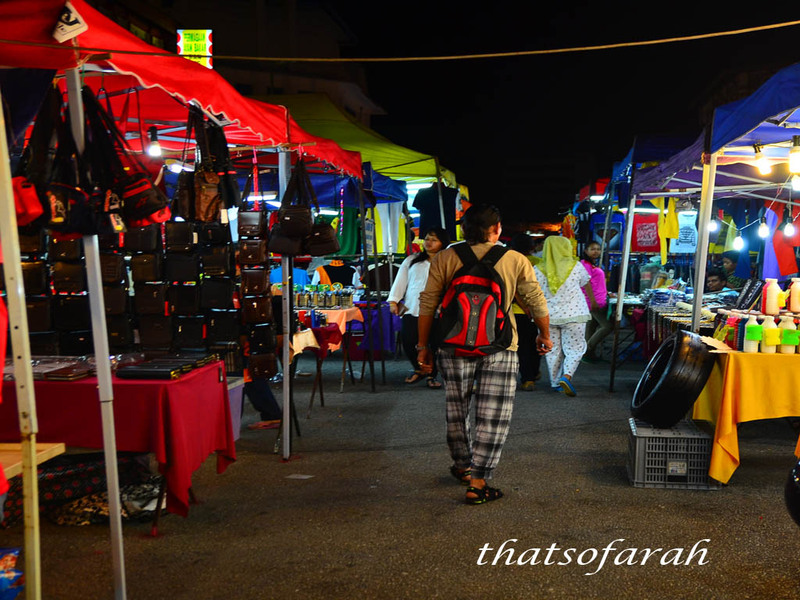 Gerbang Malam Ipoh is actually a night market or equivalent to Kuala Lumpur uptown market. You can get almost everything here in Gerbang Malam. 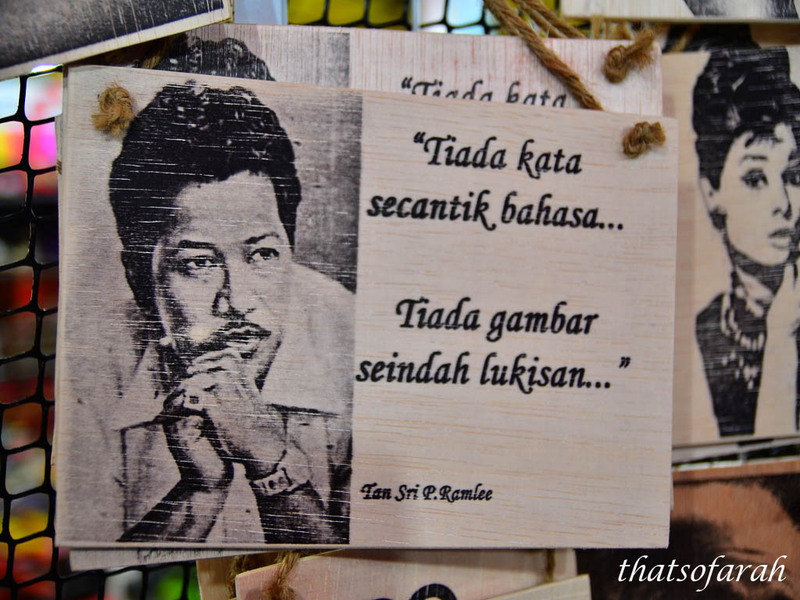 The highlight of gerbang malam is actually a wood art stall that sells many art work and souvenirs. I myself packed some souvenirs. 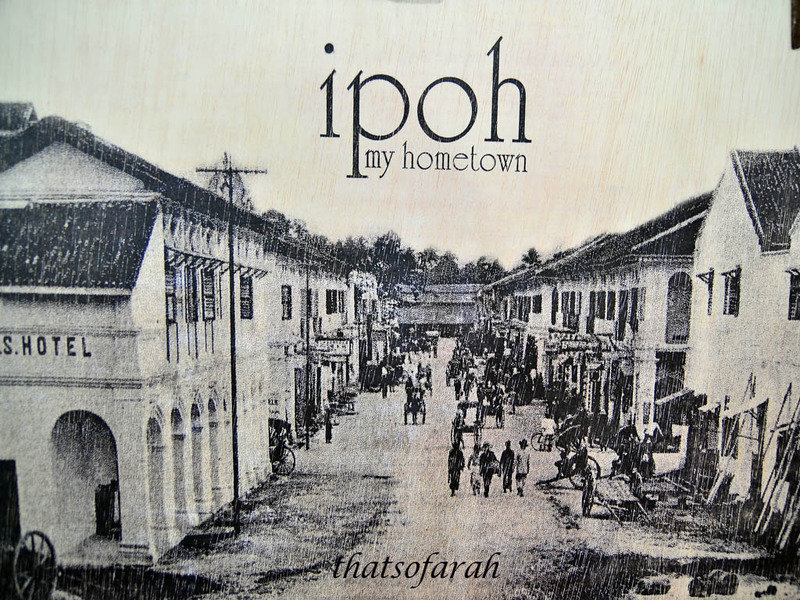 Wooden fridge magnet of Ipoh. Now, tell me where else can you get that? Gerbang Malam is a happening avenue at night. Big chinese restaurants with Shanghai-fluorescent lights were busy through out the night. Ipoh is famous for its Taugeh Ayam and Ayam Garam. All kind of things can be found here. As we went our separate ways, we met Jard and Lily at a massage parlour for Jard wanted to have a body massage. Baby and I weren’t fancied by massage and went to Medan Kid Food Court instead. Supper pulak. Popia SS. Ali & Lai Chee Kang telur puyuh. 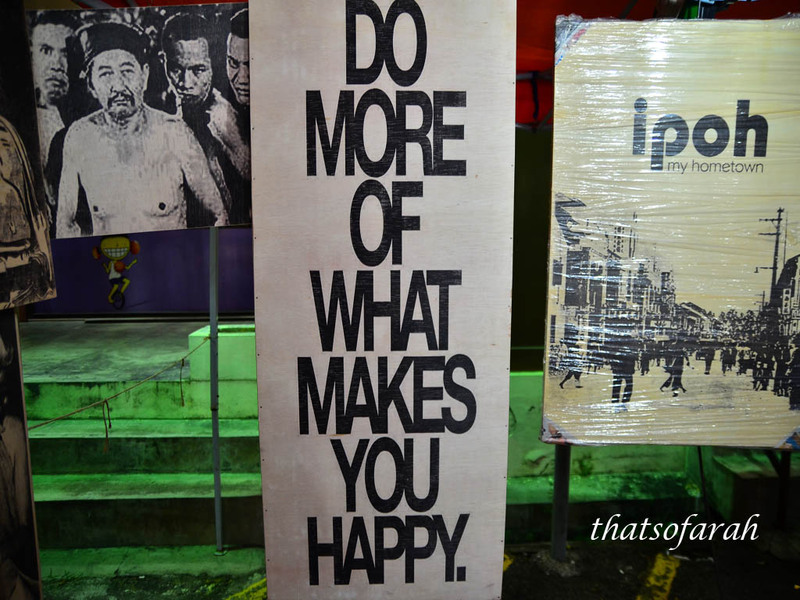 I am practically in love with a laid back town like Ipoh. That night, it so happened that two old Malay men were having dinner while watching a football match. I remembered telling Lily, this is exactly what BFF means… Friends that grow old together. Popiah SS Ali ngn Lai Chee kang tu memang terbaek dari ladang la! tapi yang mee kari tu serius tak tau..huhuhu balik ipoh nanti nk pegi cari.. Location sebenar mee kari tu kat mana? mohon share..
Jalan Cockman, Ipoh. Teman tak tau nak explain camne ni. Hahaha. Kalau ikut jalan satu hala 3-4 lanes tu dia belah kanan salah satu simpang yang boleh masuk kanan. Kedai dia kat ng corner masuk simpang tu. Harap-harap membantu la ni.